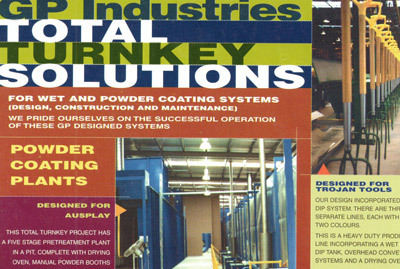 In order to execute a high-quality finish, one that's robust and all-encapsulating, a diligently operated powder coating business needs more than the right equipment. Sure, branded gear goes a long way to ensuring an inviolable seal, but several mediums require monitoring when the process begins. Consequently, some form of quality control is necessitated, a methodology that depends on a properly maintained contamination control strategy. Imagine the initial preparation stage as the fundamental groundwork. 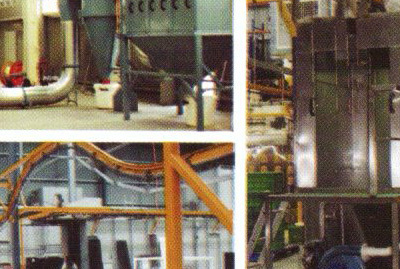 The subject component is cleaned before any powder application work is even considered. In fact, the degree of cleansing referred to here goes deeper. This is surface expunging at the deepest level. 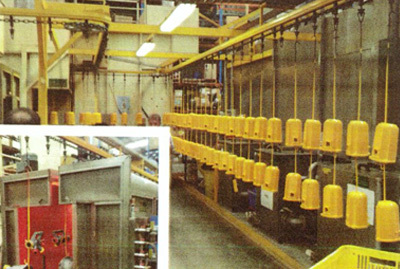 Aggressive chemical cleansers and sand blasting stations accommodate this industrious preparation work, for full resin adherence cannot be guaranteed without a fully prepared surface. The next good contamination control convention deals with near invisible powder coating obstacles. They're the ambient atmospheric problems that disrupt the uniform application of resins and pigments. Humid environments, for instance, make the air "heavy." The result of this humidity on the human body is a light film of perspiration, but its effects on the powder spray can be catastrophic. The carefully formulated pellets clump. They cause blemishes on the object's finish and corrupt the even distribution of the powder. Upon being conveyed into the oven, the pellets still melt and flow, but they do so unevenly. The weather sealed coating hardens, but it's compromised, corrupted. Unless the operation is being set up in a certified clean room, a conscientiously maintained foreign matter control program will need to be introduced. Walls and floors are to be vigorously cleaned under the rules of this program. If this is a modular booth, clean all equipment filters and segregate the enclosure so that no cross-contamination can occur. Extend the strategy to cover invisible resources. In doing so, the air must be managed like any other material asset, so inspect air compressors and fans for filtering issues. Likewise, evaluate the ambient air for possible temperature and wet bulb humidity problems. The root of a surface-blemishing source can be difficult to locate, but it must be remedied before any further projects are accepted. Otherwise, at best, the acceptable yield factor will hit rock bottom. At worst, the product will slip through quality control and be installed, at which point it will age and fail due to a substandard finish. Instead, resolutely avoid such undesirable outcomes by eliminating surface and airborne pollutants. Prepare, isolate, clean, and apply a consistently superior coating.